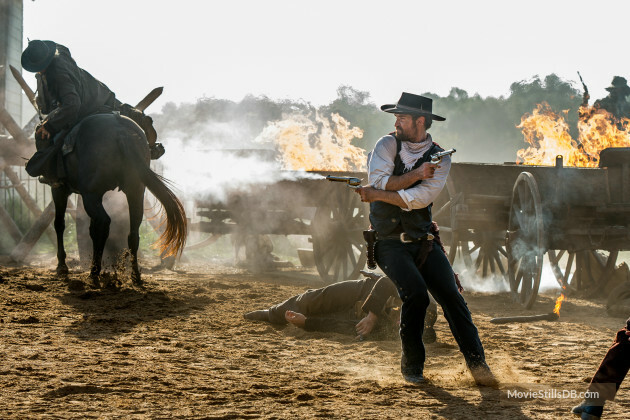 The Magnificent Seven (2016): the Good, the Bad, and the WHAT?! Well, friends. I am here, with what promises to be an extensive read (on Tuesday, there will a be quiz on chapters three and four). First up, I will offer a spoiler-free review for those who have not been to a screening yet. After that, there will be a more in-depth analysis, comparison, breakdown of feelings, deep thoughts, free-verse poetry, etc, etc. First of all, I have been waiting for this movie with deep excitement. It has been a sad summer of movies, and this one was going to swoop in and entertain me to death. 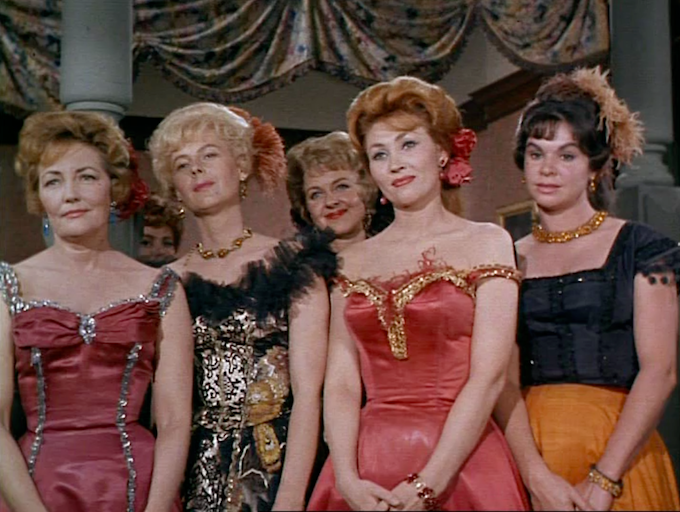 The original Magnificent Seven is practically perfect in every way and a personal top ten movie. I was not clamoring for a remake. When it was first announced with Tom Cruise playing the lead--I BOOED OUT LOUD. But, then Tom was out and Denzel was in, and I sat quietly and pondered my feelings. I was mostly cool with it. Then the cast announcements continued to roll in and I was completely on board (the loss of Wagner Moura somewhere in the process only slightly tampered my joy). --by covering my hands over my ears and duh-duhduhduhing the theme song to myself and refusing to listen and repeating over and over, "I HAVE FAITH IN DENZEL. I HAVE FAITH IN DENZEL." And, here we are today. To be honest, I would have watched the Thursday night screening, but I roped myself into seeing it with other people. And because me living in a new place means people who want to hang out with me are scarce--I DON'T TURN AWAY SOCIAL ENGAGEMENTS WITH PEOPLE. I take my responsibilities to my readers very seriously. I will not let you down (unless you're waiting for me to pick up on some series I started two years ago and/or write that post I keep promising, in which case, I will let you down). My experience watching Magnificent Seven was a complex range of feelings, and I kept trying to watch it through the lense of its own individual movie--but I kept getting drawn back to comparisons to the previous film. Because make no mistake, this film is both original and derivative. It is as if someone took apart the 1960 film, separated all the disparate elements, and then chose a few right here and a few right there and grafted them into a brand new framework. The overarching theme and motivation of all characters has been changed, and it is certainly less cohesive here. That is not necessarily negative, and does certainly work well at many points, but ends up leaving the titular seven as a group of happenstance and convenience instead of purposeful. However, what this film lacks in overall group cohesion, it makes up for in its individual characters. 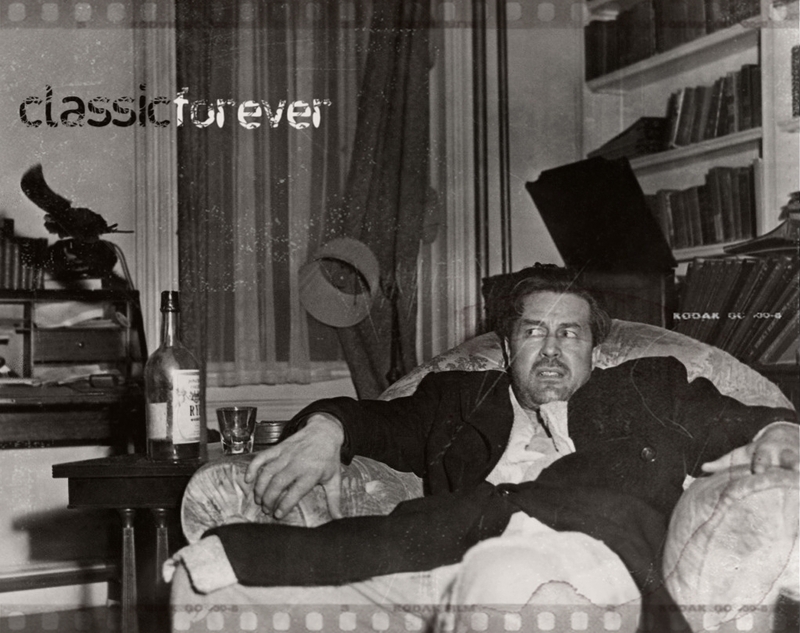 In this film, there is no character as willfully obnoxious and overacted as Horst Buchholz' Chico. Nor will there be any trouble trying to remember who that seventh guy is: aka there are no Brad Dexters in this cast ("I'll save you Chris!" *gets shot and dies without helping at all*). That is not to say all the characters are fully developed (I will elaborate on that more in the spoilers area), or that motivations are always clear. To be concise, I will say that the cast is excellent, even when the story fails them. Denzel glides effortlessly through life as usual, and is perfect. 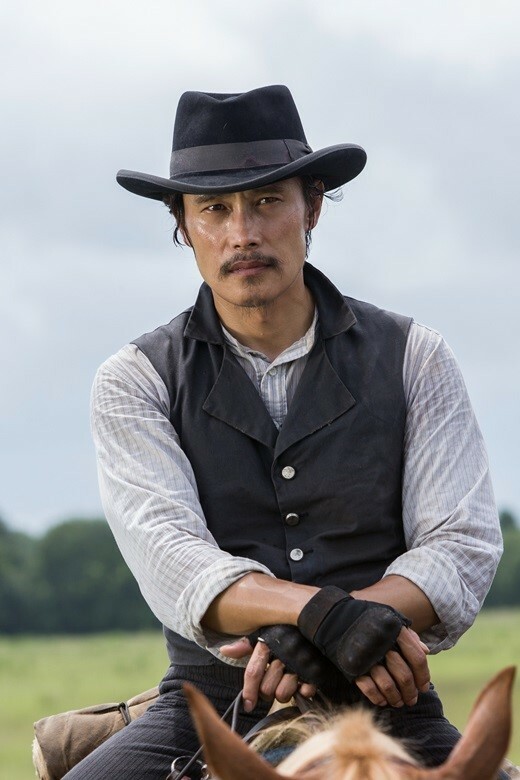 Lee Byung-hun and Ethan Hawke are also standouts. No matter any failings of this film, Lee Byung-hun's Billy Rocks makes is clear that the knife-throwing guy is always the stealth hero by virtue of being the coolest (following in the footsteps of James Coburn's Britt and Miyaguchi Seiji's Kyūzō). Now, I really need to go into extensive detail of this whole film and discuss, in particular, this character's glorious hair, so maybe come back after you've watched it. So, should I go see it? 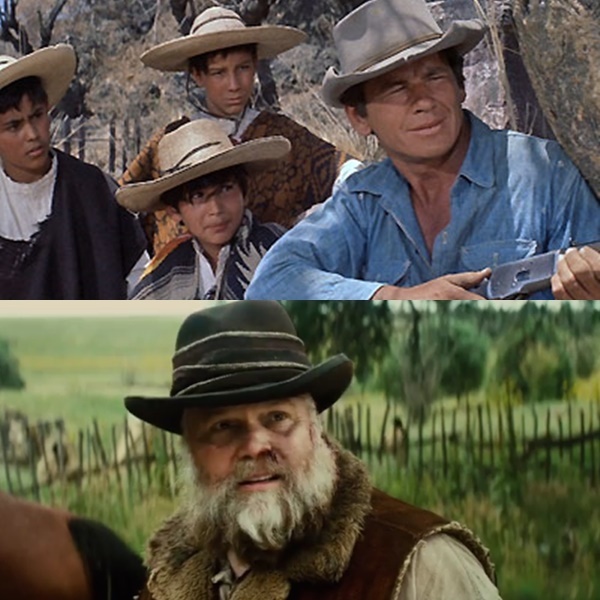 A) If you are feeling the need for a delightful 1960s style western and also have never seen the 1960 film and don't mind some story issues here and there--go for it! B) If you know every line and beat of the 1960 film, and are feeling the need for a delightful 1960s western--proceed with caution, but probably still proceed. I DON'T KNOW. I'M STILL FEELING MY FEELINGS. I don't want to stop you from feeling those feelings too if you want to feel those feelings! 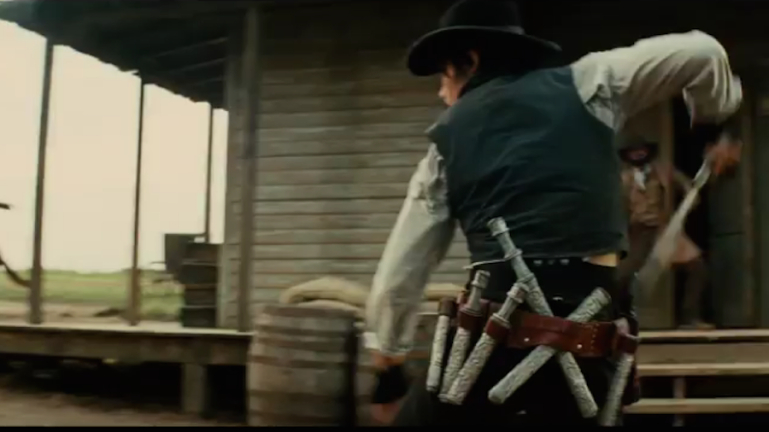 First of all, I am handing out bonus points to this movie for the moment when Chris Pratt says, "Well, it looks like we've got a Mexican standoff." BECAUSE THAT IS MY FAVORITE DUMB WESTERN TROPE OF ALL TIME. However, I am also exacting negative points for the fact that it WASN'T EVEN AN ACTUAL MEXICAN STANDOFF. ugh. sheesh. Now, the movie started off on a rather dour note. The entire church scene was depressing, and not in movie fun depressing way where it has to happen for cool stuff to happen in response. No, it was like, oh, these child characters are for sure traumatized, and hey Matt Bomer cameo you are for sure marked for death, and okay Peter Sarsgaard you have made an acting choice and I respect that but def not sure why you are playing your guy as a deranged psychotic CAPITALIST. (This movie isn't big on showing when they can YELL it at you in a unique accent instead.) Like Peter Sarsgaard's bad guy Bartholomew Bogue KNOWS he is a deranged bad guy, and has no choice but to derange it up. And then the credits. And Walter Mirisch's name popped up as Executive Producer and that made me unreasonably happy. And then we meet Denzel's Sam Chisolm, and Chris Pratt's Josh Faraday. 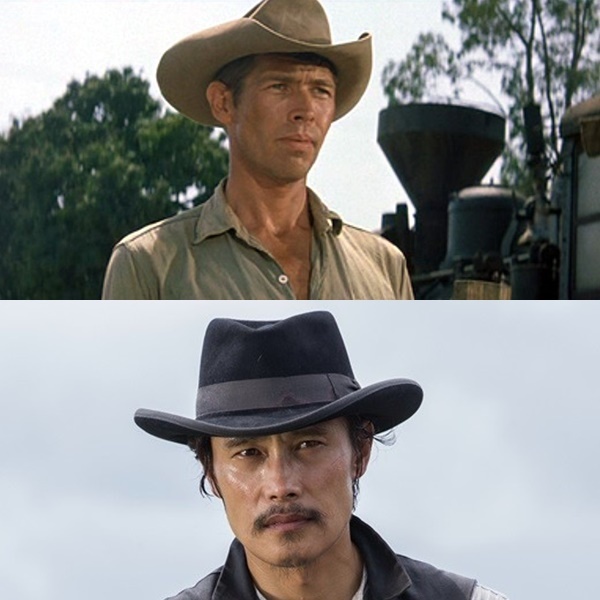 They are roughly equivalent to Yul Brynner's Chris and Steve McQueen's Vin (full character comparison below). Their introduction is not even close to the all-time-classic hearse ride that Brynner and McQueen take, and instead involves a bar-room shootout. Whatevs. Already, the tone is changed from the 1960 film--and it continues to diverge. 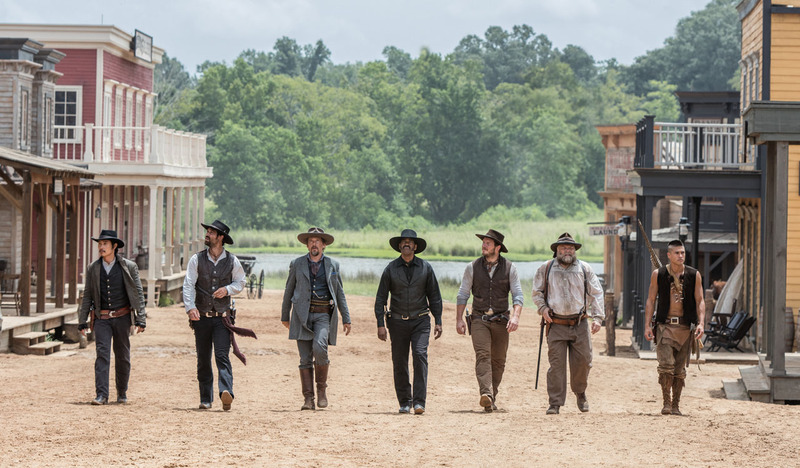 In the original Magnificent Seven, the characters are gunfighters--men who live through their guns--who have become both obsolete to society and empty personally from years of killing. It actually takes quite some time into the film to see them shoot anyone dead. Here, they start racking up the body-count quite early without a sense of the internal cost (there are some lines of dialogue here and there that do allude to it, and Ethan Hawke's character as a whole). This can be taken as negative in comparison with the original, but also the film was tackling entirely different themes. 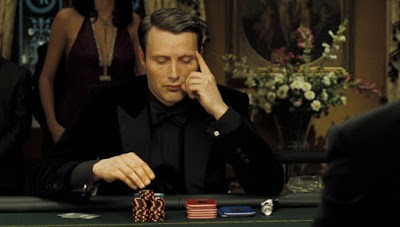 Instead of a one unifying theme, it seems each character has their own orbital themes: revenge, prejudice, personal loss, looking for purpose, dealing with trauma, CAPITALISM IS YOUR GOD! (okay, Peter, calm down). As interesting as these glimpses are, they are never fully worked out enough to provide understanding or motivation. This film gives both too much background and not enough. I still have no clear understanding of what the bad guy was attempting to accomplish or why. And I also didn't understand why these guys all joined together to form a group. Instead of 1960 Mag 7's search for normalcy or redemption, they just join together when Denzel tells them to join. Except for Red Harvest (heh! 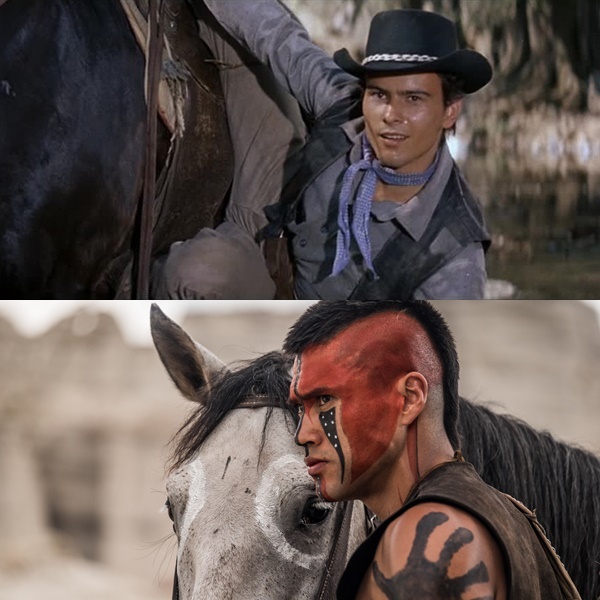 I see what you did there, screenwriter), the young Comanche played by Martin Sensmeier who literally just magically (ugh) pops up out of nowhere in the desert and tells Denzel (who speaks Comanche) that his elders told him that he would take a different path, and they share a deer's heart, and Red Harvest is part of the gang. That is the extent of what we learn from him and we also really don't hear from him ever again. Except when he kills the bad guy Comanche and tells him that he is a disgrace. okay. 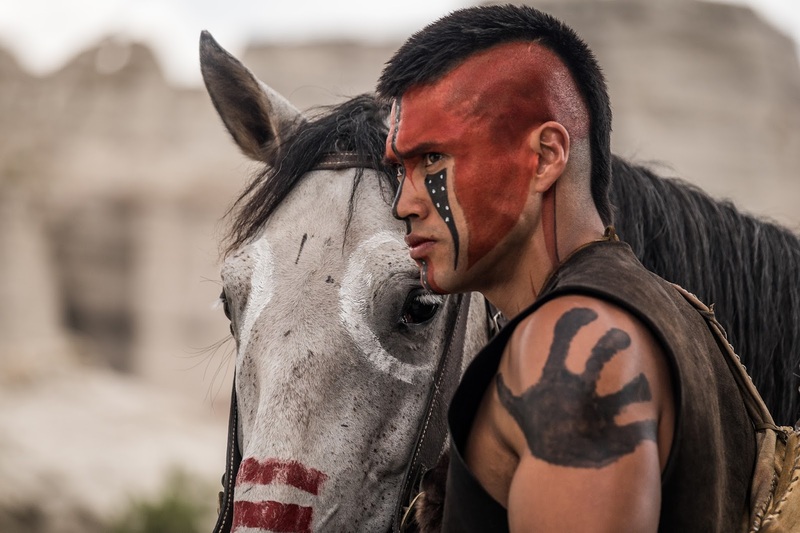 I dearly appreciate the film's varied casting choices and inclusion of people of color (especially in comparison with the 1960 film which had two white men playing Mexicans, and another white man playing a Mexican-Irish man), but, unfortunately, in the case of Red Harvest, he comes off as more of a magical Native trope than a real person (Sensmeier does great work with what he has, however). And the juxtaposition of his character against the Comanche man who worked for Sarsgaard was jarring. It was a good Native versus bad Native with both given no character work aside from their visible "Nativeness." 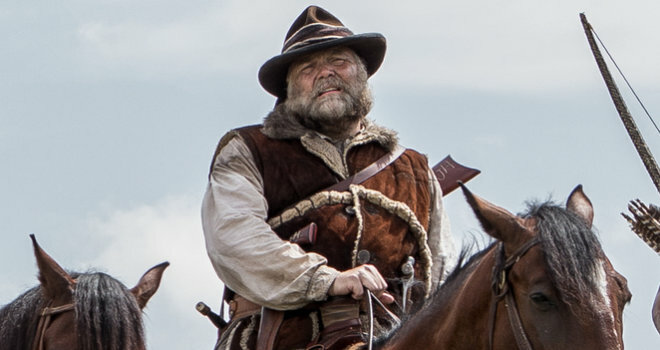 Although, speaking of the bad Comanche, one subtle moment that interested me greatly was his part in killing Vincent D'Onofrio's Jack Horne. Horne is introduced as an infamous "Indian fighter" who used to make his living collecting US government bounty money for Native American scalps. That his death comes at the bow of a Native American is actually a more subtle and nuanced action than it suggests. 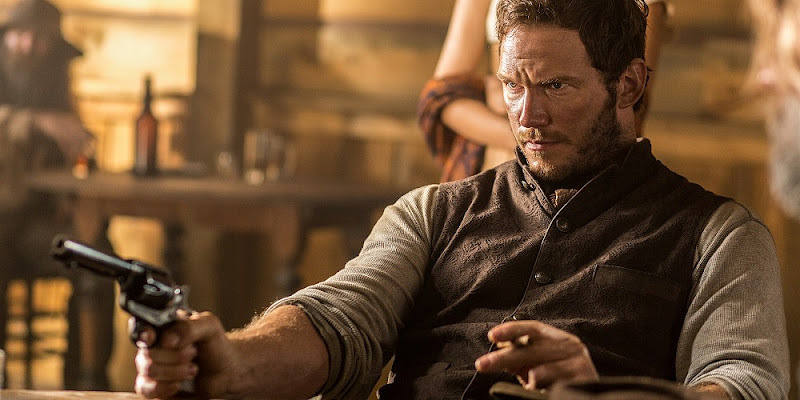 Jack Horne was an interesting character and also inspired Chris Pratt's line that made me laugh more than it should: "That bear is wearing human clothes." But, also D'Onofrio was doing the acting equivalent of wearing too many accessories, and he needed to look into the mirror and take one off. Maybe the disconcerting high-pitched voice. Like, definitely the disconcerting high-pitched voice. So, anyway, back to the story. Chris Pratt's Josh is off killing people with magic tricks and Denzel's Sam is being hired by Haley Bennett's Emma. Bennett is the the filmmaker's attempt to insert a female presence into the story (almost completely lacking from the original aside from Horst the Worst's love interest). She was still side-lined anyway, but not more so than half the guys in the 7, so I don't know. I do know that her outfits were 100% ridiculous and she was not well-protected from the sun at all. The third to join the seven is Manuel García-Rulfo's Vasquez for reasons that don't completely make sense. He is wanted and Denzel promises not to go looking for him if he helps out, but Vasquez could have just shot him right there and been free to go, so WHO KNOWS. I did really enjoy García-Rulfo's performance and he played off of Chris Pratt well. Although, I was extremely surprised that he was still alive at the end. And then we meet Lee Byung-hun's Billy Rocks and Ethan Hawke's Goodnight Robicheaux in a scene similar to 1960's introduction of Britt. 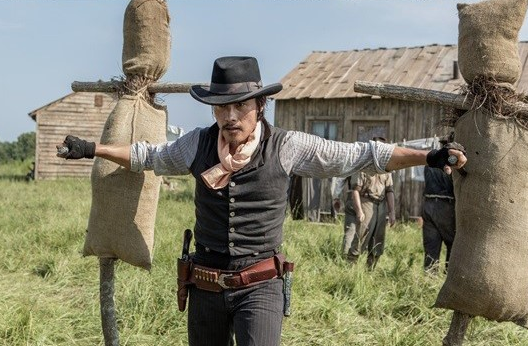 We also get to see Byung-hun's glorious hair THAT HE KEEPS A STINKIN KNIFE IN I CAN'T HANDLE IT I LOVE IT TOO MUCH but I also cannot find a photo of said hair in action. I am sorry. Here is a photo of him stabbing bags of hay instead. 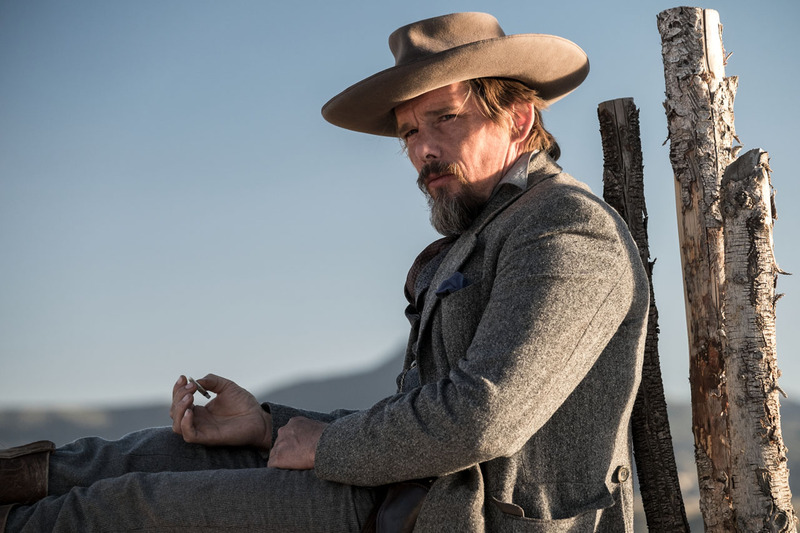 And Ethan Hawke does an intriguing job as the gloriously named Goodnight Robicheaux. His performances is memorable and all, and that scene between Denzel and him about the Civil War was a character moment that I wish more of the 7 received. Also, am I just wildly speculating, or is Billy supplying Goodnight with drugs? And, then, there was that unexpected death. Christ Pratt's Josh was gonna be a survivor, I was sure. He wasn't a tragic figure, and he was also the Steve McQueen character, so I thought he'd live (along with Denzel's Sam and Red Harvest as my other guesses). His death was very surprising and a genuine twist for me. I have to say, Chris Pratt's performance did not work for me. He was goofy, which did not fit the tone of most of the film, but then he also killed with ease and also called out Goodnight for being unable to shoot--and it just didn't ALL work for me. He did get a pretty bombastic death though. Denzel is perfect and can do no wrong and I love him. 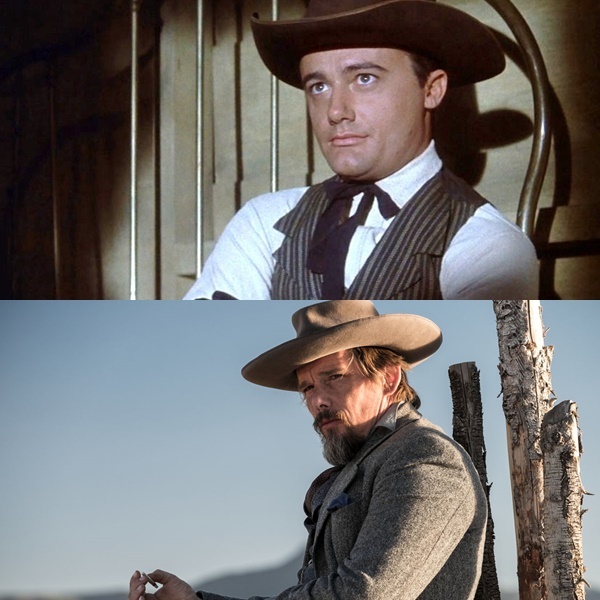 He was wonderful here, and he should be in more westerns. 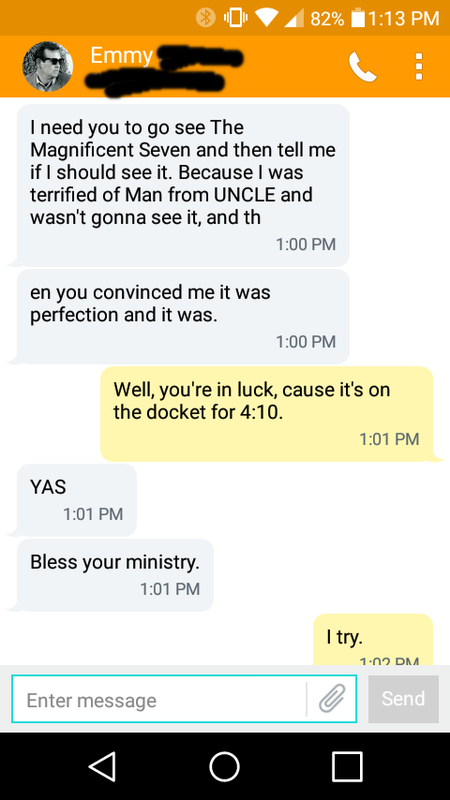 And the backstory was maybe a bit too much thrown into the stew pot, but he also sold the heck out of it and I don't care. And also, he did this cool move on his horse, and Denzel + that horse for life! That Gatling gun was not fairplay western shootout. Almost no movies should be longer than two hours, but also, I was entertained the entire running time. Score was lovely, but missing something. The end credits were perfect AND USED BERNSTEIN'S THEME AND I GOT SUPER HYPED, BUT IT WAS TOO LATE BECAUSE THE MOVIE WAS OVER. Also, after the movie, my friend was like, "I feel like seeing the original. Do you think it is on Netflix?" Me: "I mean, I actually own it on DVD, you know, but yeah." Me: "I MEAN IT'S A TOP TEN FILM OF COURSE I LOVE IT SO MUCH OH MY GOSH DO YOU REALLY WANT TO SEE IT!?!!?!?!?!" Friend: "Uh, yeah. Of course." 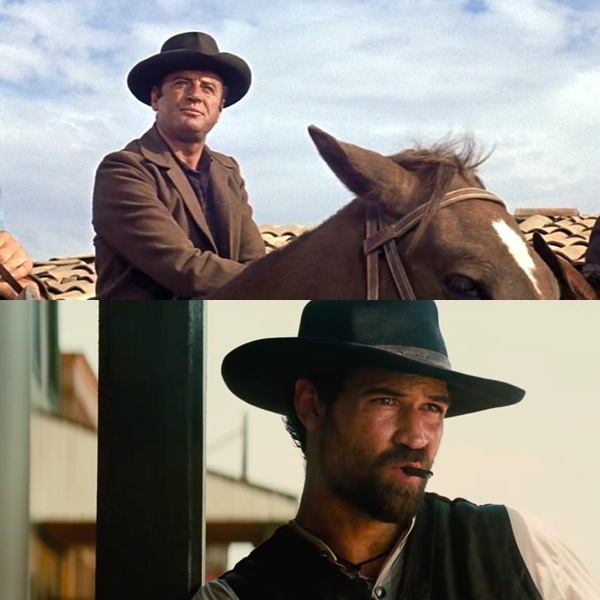 Similarities: Leader, and first in group; all black clothing; survives the film; both use the line: "I've been offered a lot for my work, but never everything." 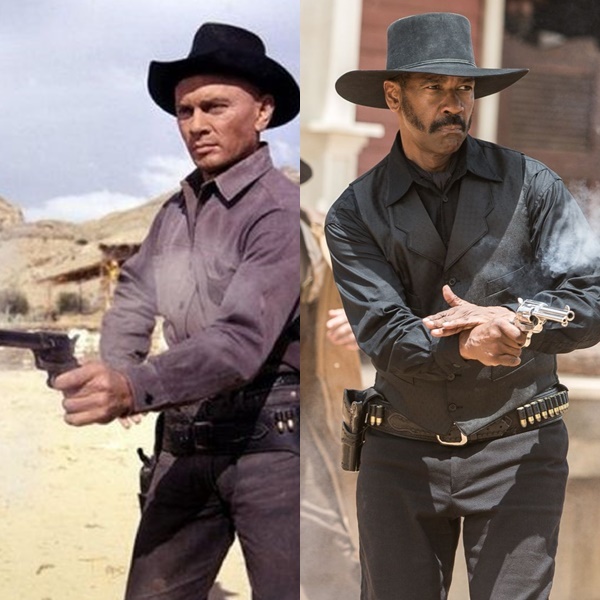 Differences: Chris was a gunfighter, but not much else was known, whereas, Sam is a bounty hunter/official peacekeeper something or other; Sam has extensive backstory about the deaths of his family and his experiences as a Union soldier; Chris is described as Cajun. Who played it better? Denzel is perfect, but this is also my favorite Brynner role. TIE. 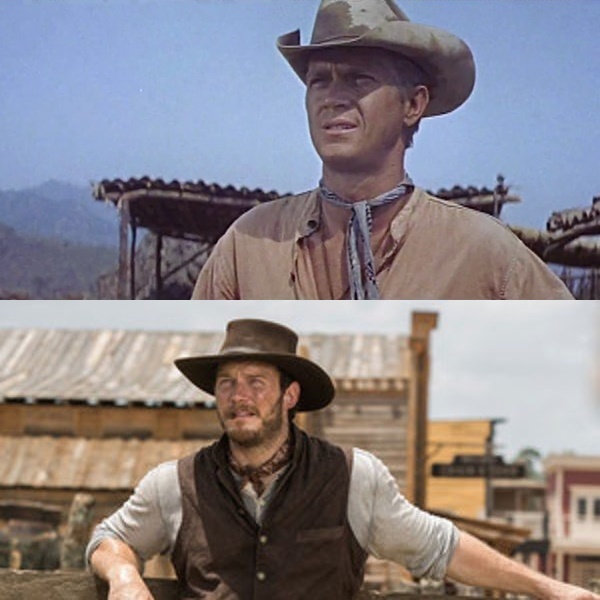 Similarities: Leader's right hand guy during the round-up of the group; makes quips; Vin is shown gambling and losing all his money and Josh is known as a gambler; Both always on the look-out for female companionship; both use the line about the man falling down a building: "So far, so good." Who played it better? No contest, sorry Chris! 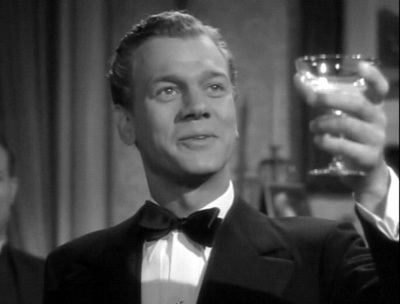 Steve McQueen is impossibly perfect as Vin, and it is understandable that they took the character in a different direction with Chris; although, I also feel that naming him Josh was a tribute to Josh Randall--one of Steve's great Western characters. 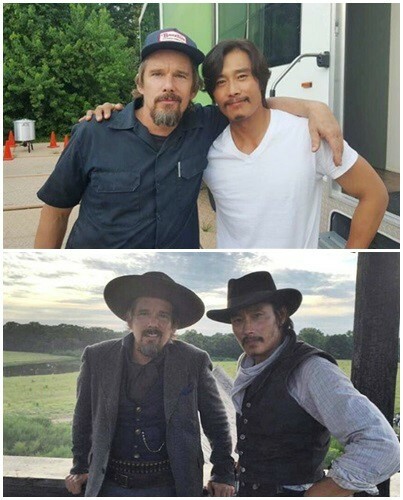 Differences: Britt is white, but Billy is Korean and hangs around Goodnight so that he can help him navigate "the white man's prejudice"
Similarities: Both have a hidden fear of shooting/guns/battle/likely PTSD; both die; both conquer their fear to help the others; both are "smooth"
Who played it better? Very different depictions of a character with the similar trait of crippling fear. I like both portrayals, but maybe Hawke's a bit more. The other three have very tenuous connections to the 1960 film characters. Who played it better? Martin Sensmeier ALL THE WAY. I mean, it was a very different character; and truly, Chico is a far more developed character with an actual arc than Red Harvest. BUT, STILL. Who played it better? Manuel Garcia-Rulfo takes this one easily, because despite having an ill-defined character without many beats, he still was memorable and distinct. 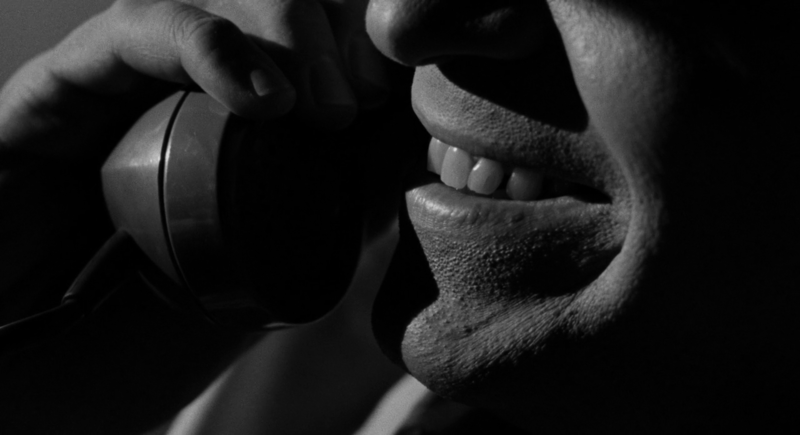 Brad Dexter is forever the one guy no one remembers in the Seven. Who played it better? Bernardo O'Reilly is just a wonderful, wonderful character and I love him very much. Obviously, these are only superficially comparable, but as disparate characters, I still think Bronson has it over D'Onofrio. Well, gang! It's now over 3,000 words of my stream-of-consciousness processing my thoughts and feelings, and this isn't even everything I think and also I have not edited at all, and that is way too many words for me to read before I click publish, and I will regret all of this tomorrow. BUT, QUE SERA SERA! I haven't had working internet at my living space IN 3 MONTHS. But, hey-o, I am back in business now--from the hot and sticky, but interesting and new city of Memphis (ask about the time I people-watched thousands of pilgrims at the Elvis-death-memorial vigil at Graceland at night in the middle of a typhoon sometime, okay). 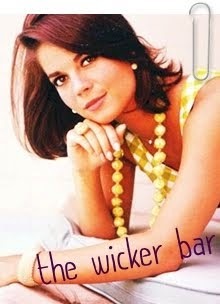 To ease my way back, the dear and delightful Hamlette has tagged me to answer 11 questions about myself. We all know I love lists and talking about myself, so this was a 100% great proposition. Also, check out her list--cause my name is The Millie and I Approve this Message (every answer is ridiculously spot-on). 1. Is there a movie that has really yummy-looking food in it that you'd love to eat? Probably, as in most definitely, too obvious a choice, but dang the pies in The Waitress are so delicious looking (I might also be projecting a bit of my unhealthy love for Ned the Pie-Maker from Pushing Daisies in here). I love how integral they are to the story, and to the waitress' character. The urge to create is powerfully inborn in each of us, and it is a varied in its outlets as people are varied. ALSO, PIE. 2. 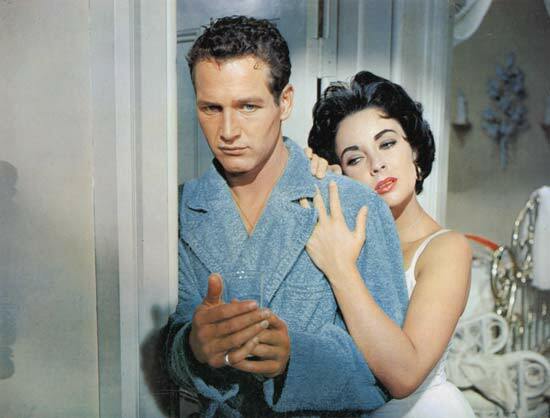 What era do most of your favorite movies take place in? It honestly depends on the mood. 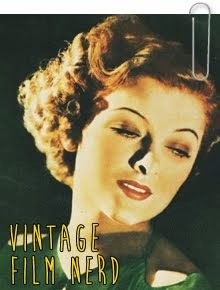 For absolute comfort combined with the awe of film as a purely heart-encompassing love and connection it's 1935-1948. That's my childhood and my basis of film appreciation and that too-visceral-to-be-properly-explained-to-any-person understanding of film. My childhood comfort film being Shadow of a Doubt has me now rethinking my childhood. 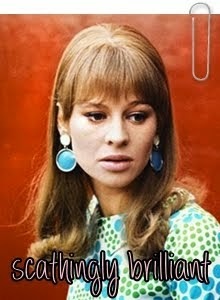 But, personality-wise, 1960S, PEOPLE. The weirder and more colorful and more who thought this was a good idea? the better. 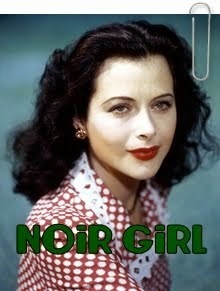 When I'm feeling angsty, it's nothing but 1950s melodrama. "MAGGIE THE CAT IS ALIVE. SHE'S ALIVE, BRICK!" is definitely not what I am currently yelling out my window in a bad Southern accent. 3. 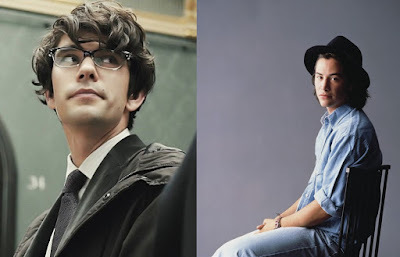 What two actors/actresses have you always hoped would make a movie together, but didn't/haven't yet? If I'm being honest, this thought first occurred to me roughly 8 seconds ago. BUT, COME ON. Can you imagine that level of quiet sensitivity and good hair? UNCONTESTED ON THIS OR ANY OTHER PLANET IN THE GALAXY. 4. If money and time and supplies (and crafting ability) were not considerations, what movie character would you love to cosplay or dress up like for Halloween? So, I had a ~strange~ childhood, followed by an early adulthood spent working every single Halloween night, so I actually dressed up for Halloween for the first time last year! I went as Punk Edgar Allan Poe and spent 20 minutes on my costume. I was also mistakenly asked if I was Adolf Hitler despite my carrying around a raven and DESPITE THE FACT THAT THE THOUGHT OF ME EVEN CONSIDERING DRESSING AS ANY MEMBER OF THE NAZI PARTY IS TOO UNBELIEVABLE TO IMAGINE. That said. I would be Mrs. Cathy Gale every day. 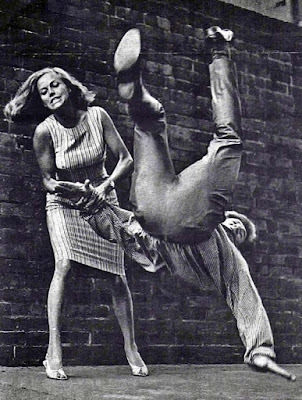 And, really, I mean that I would cosplay as Honor Blackman. 5. Have you ever cosplayed or dressed up like a movie or TV character for Halloween? Well, this is awkward. As you can now see, I didn't actually read all the questions before I start responding, so I should have saved my own Halloween experience for this answer. However, you're in luck. I was a 100% theatrical adult child, so dressing up was always a great idea. Although, I will say, I was banned from watching Bonanza for 3 months when I was 7, because I dressed up as a "saloon girl" and served lemon-water to my big brothers. 6. What movie would your friends/family be surprised to learn you truly enjoyed? Honestly, I watch so many terrible things and enjoy them, that it's not even a secret anymore. The day I started logging all my film viewings publicly on Letterboxd was the day I decided it was okay if people knew how many times I watch Maid in Manhattan on the regular. I CANNOT BE SHAMED ANYMORE. One time, I had really long convo about this movie with a thrift store checkout guy on Cap Hill in Seattle and he really felt like JLO emotionally gets him and also referred to Ralph Fiennes as a "fancy lad" and that really spoke to me. 7. What's one book you hope no one ever makes into a film? Uhhhh. IDK. I cannot think of any one book in particular. Although, I can think of some particularly terrible adaptations (and I usually like the film just as much or more than the book, to be honest). Earlier this year, I saw the 1999 adaptation of The End of the Affair and it completely stole all nuance and changed the complete direction and purpose of the novel that it really horrified me. 8. Do you know the Wilhelm Scream when you hear it? 9. When a character onscreen has to hold their breath, to you try to hold your breath to match theirs? Thanks for the traumatic reminder of my severe asthma. THE ANSWER IS NO. I have regrettable lung capacity because of the aforementioned asthma. I do tend to clutch my inhaler when people breathe heavily onscreen, however. And, have been known to wheeze along sympathetically. Note the inhaler. ALSO, WHY ARE ASTHMATICS ALWAYS EVIL?! 10. What upcoming movies (or TV series) are you excited about? 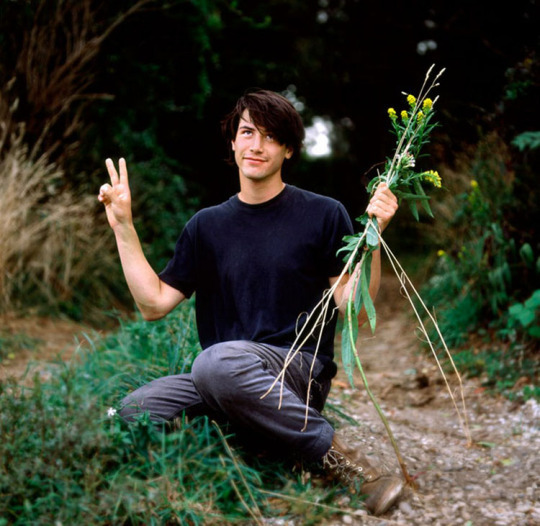 Films: La-La Land (I'm here for low-key, throwback musicals), Nocturnal Animals (Tom Ford style plus that cast), The Bad Batch (interesting director; inexplicable story-setting), John Wick 2 (KEANU IS GOING TO TAKE DOWN ALL THE CRIMINAL CELLS WITH MORE STYLIZED BALLETIC VIOLENCE THAN YOU CAN IMAGINE), Silence (I adore Liam Neeson and this looks like a film for his powerful presence), Arrival (Amy Adams is my queen), American Pastoral (I support Ewan McGregor), and Bastille Day (truly the Idris Elba kicking doors in and terrifying people with his stare film that we have all been waiting for). Thanks for the tag, Hamlette! My heart is yours. Also, anyone else wanting to participate, please feel free and let me know when you do so I can check out your answers! 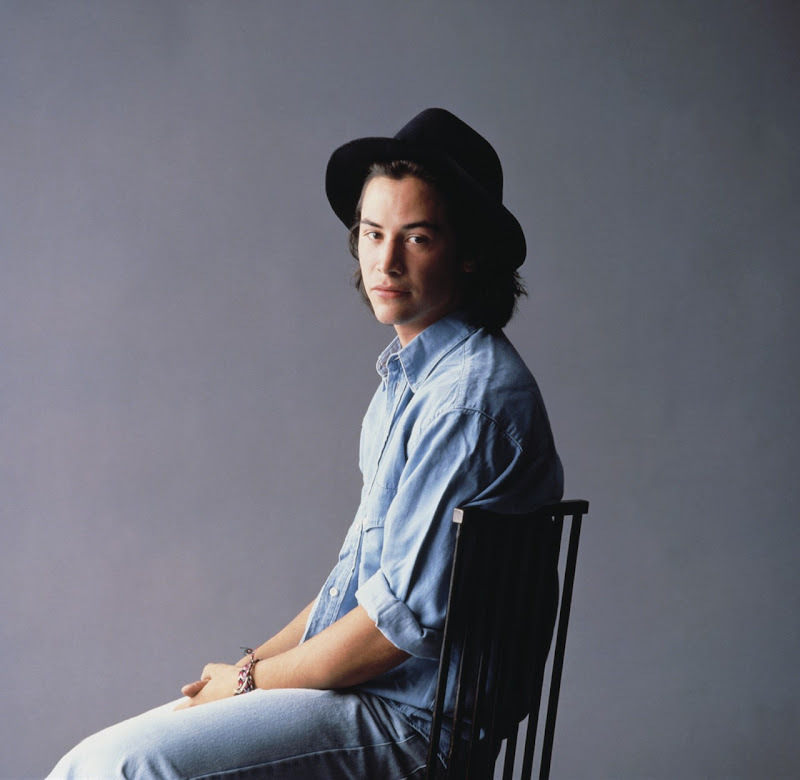 I was unable to publicly celebrate the 52nd birthday of this great human AND EXTRAORDINARY ACTOR (I will fight you if you don't get it) yesterday. So, I have to acknowledge it today. Here's to everyone's favorite immortal.